If you time it right, you can now go to work in the morning and come home late in the afternoon and not see the street lights on. If you are like me, you are thinking gardening during all the extra daylight hours. Alas, this is where I dash your hopes, temporarily, with regard to the prospects of gardening. Even taking into account the effects of global warming (which I have), there are still 10 to 12 weeks before the birch leaves reach the size of a squirrel’s ear and we can plant outdoors without fear of a killing frost. (I like to think using “weeks” softens the blow from realizing there are months to go). The only way out of this dilemma is to use supplemental lights. I won’t harangue you except to warn you that there simply isn’t enough natural light to grow decent seedlings and really won’t be until April. 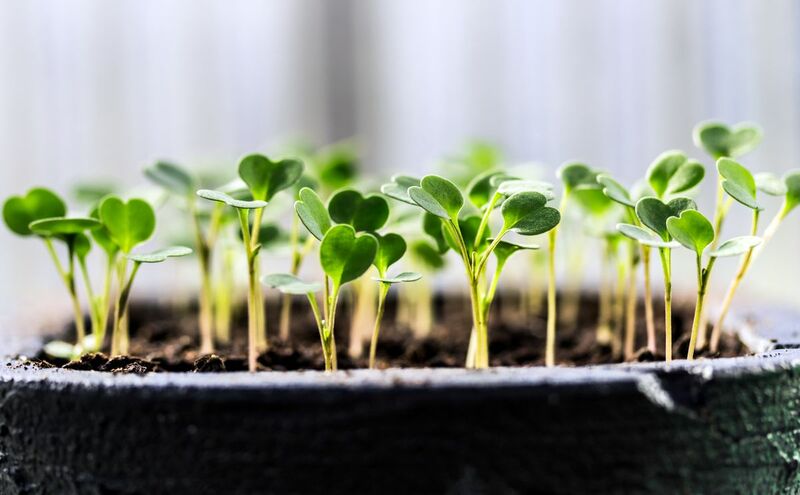 You can try, and there are some things that will do OK (but just so), but if you live here long enough, you realize it is foolish trying to start plants indoors for use outdoors later in the spring and summer without lights. Surely, you would be wasting a lot of time if you try any of the flowers whose seeds need to be started now: lobelia, pansy, rhodochiton, fibrous begonia, foxglove and hollyhock. Lucky for you, there are always plenty of lobelia and pansies and fibrous begonias started by local nurseries. Rhodochiton, the “Alaska Fair plant,” is not readily available, nor is hollyhock. And with the prices they charge for foxglove, it might as well not be available. Ah, but all could be started from seed. It just takes a bit of supplemental light. Artichokes are the vegetable seeds that need to be started now. These probably will set a few flowers this year if you get them started now. You can carry them over for flowering the second year. Warning: These get to be big seedlings indoors and are larger outdoors. You have to have room both places. And, you need lights. Similarly, now and the next couple of weeks is when you should start onions, celery and leeks. After the middle of the month, you need to start peppers, kales and Brussels sprouts. It may be light at 7:30, but it is not light enough. During the last two weeks of March, lupine, malva salvesteris, salvia, more pansies, violas, verbena, carnation, cosmos, seed dahlia and godetia need to be started. Again, a lot of these are available as starts in late April and May, but if you really want verbena, malva or godetia, you need to start your own. That means under lights. Heck, some folks even start tomatoes during March instead of waiting for April. Again, you really need lights to do them justice. Even a bunch (I couldn’t resist) of herbs should be started in March and require lights. Sage now, and in mid-month, lavender, lovage and lemon balm. These are followed at the end of the month with thyme and oregano. Yes, you can bring your stored bulbs and plants out of storage now and you don’t really need supplemental lights for those fuchsias and glads. It won’t hurt them, however and supplemental light will surely speed up the tuberous begonias. So, you have two choices here. The first is to dream about gardening until April. The second is to use lights and get going growing. It really is that simple. And, given the box stores, grow stores and even nurseries that carry grow lights, there is something that will fit your budget needs and space requirements. Which way are you going to go? Stored fuchsia and rhodochiton: Bring them out, water and let them grow. Stored pelargoniums: Bring them out. Cut the tips downward until you find green stem. Pot them up and let them grow.